Our goal is to restore maximum health in the shortest time possible because we know life is busy. Fortunately, the majority of our patients achieve their health care goals very quickly as we use the most up-to-date techniques and technologies for your care. 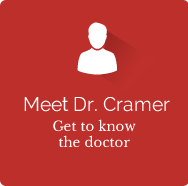 When you arrive and your paperwork is taken care of, you’ll be guided to the examination room to meet Dr. Cramer. Dr. Cramer will do an examination as he walks you through what he’s doing and why it helps him better understand your health. If X-rays are needed, we’ll refer you to a trusted facility. After your examination, Dr. Cramer will discuss your health status, if he can help you and what you can expect during care. Depending on your needs, if you’re ready, you can begin care with your first adjustment to help you get relief from your aches and pains. 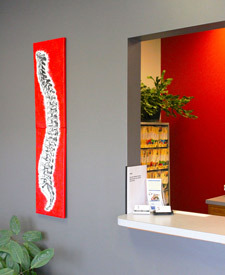 Cramer Chiropractic is committed to keeping you healthy! • Get Involved. A standard part of your treatment is learning the best way to care for your condition at home, so trips to the office are kept to an absolute minimum. • Learn. Dr. Cramer will spend time teaching you the importance of health and wellness and will always keep you informed of your health. • Stay Well. How often you visit us to maintain your wellness is up to you. We will make a recommendation depending on your age, health status and your goals. Are you ready to get started? Give us a call and let’s set up a time to see how we can help you.